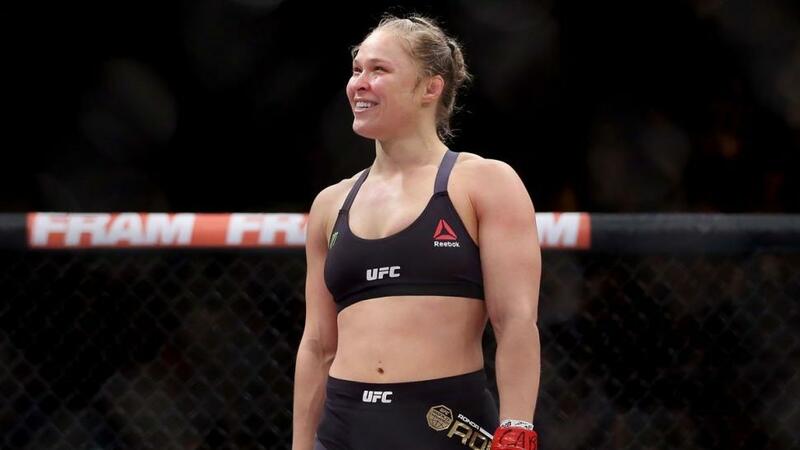 There is likely no more polarising figure in mixed martial arts than former bantamweight champion “Rowdy” Ronda Rousey. This is to be expected when your career is as dichotomous as it is important. Ronda went from being the face of the UFC, and one of the most celebrated people in sports – no small feat considering she was a woman in fighting – to being one of the most relentlessly criticised and dissected. Now pursuing a professional wrestling career under the WWE banner, Rousey is seemingly unable to answer the simplest of questions about her time spent in the octagon. Before she is inducted into the UFC Hall of Fame this week, let’s try and figure out how we got here? Ronda Rousey was born to AnnMaria De Mars and Ron Rousey in 1987. Her mother would form the mould Ronda so violently broke, as De Mars became the first American to win gold at the World Judo Championships in 1984. Before getting the chance to follow in her Mother’s footsteps however, Rousey had to overcome childhood apraxia of speech. Childhood Apraxia of Speech is a motor speech disorder that affects a child’s ability to speak. Basically, the messages from the brain to the muscles that dictate speech are poorly formed and unclear, often resulting in garbled muttering and gibberish. This was attributed to Ronda being born with her umbilical cord wrapped around her neck. Young Ronda couldn’t communicate, and after six years of little improvement, her parents feared brain damage. Eventually they sought help at Minot State University. The speech therapy department would work with the young Ronda to help her through the disorder, eventually progressing to full sentences. Rousey would go on to frequent talk shows and host Saturday Night Live. 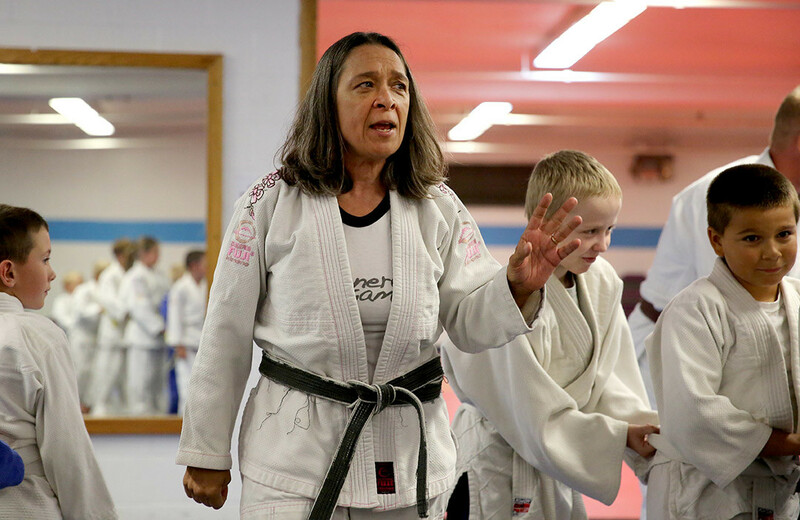 At age Eleven, Ronda would find some photos of her mother in her Judo heyday. Her child’s brain was shocked to see her key nurturer as an athlete, and immediately took interest in the art. AnnMaria became her first trainer, and wasted little time in establishing a disciplinarian dynamic with her daughter. She was an unforgiving coach, swearing at her pre-pubescent daughter and forcing her to run with an injured foot. This approach fostered a dynamite work ethic in the future world champion, but one has to wonder if it also fostered a pathological fear of failure, or even a simple misstep. She would excel quickly, eventually qualifying for the 2004 Athens Olympics at age 17. She would unfortunately lose her first match, but would rebound quickly, taking the gold at the World Junior Judo Championship later that year. In 2006 she would claim Gold at the Birmingham World Cup. The next year she made to the move to the 70kg division. In 2007 Rousey won silver at World Judo Championships, and despite trending upwards in the sport, this proved a devastating turn of events for the “Rowdy” one. After battling through her previous match, dislocating an elbow and scoring a hail Mary victory against a much larger opponent, Rousey was ready to take it home in the final. She didn’t. She lost on points. “The world championship had slipped through my fingers. Every time I closed my eyes, even to blink, I saw Émane throwing her arms in the air in jubilation.” “I had failed. It hurt to breathe.” This is how Rousey put it in her book My Fight/Your Fight. “I had to call my Mom back home, but I couldn’t do it yet. Making that call would require finding the strength to say: I lost. My gut twisted. I climbed to the very top of the seats. The arena was nearly empty. I settled myself at the end of a row of seats, up against a corner, pulled my knees up to my chest, and cried harder than I ever had since Dad died.” Ronda’s first hurdle was expressing herself to her mother. To Rousey, losing was a cataclysmic event; not a frame of mind she would ever seem to escape. Rousey would rebound later that year, winning gold at the Pan American Games, priming her for a second run at the tallest Olympic podium in Beijing the following year. She would initially progress as far as the quarter finals, where she ran into Edith Bosch, a much larger opponent whom Ronda had successfully felled at the 2007 World’s. Bosch would avenge her loss to Rousey via golden point, eliminating her from the competition. Thankfully due to repechage, Rousey was afforded a second chance at a medal. She capitalised on it, securing a bronze, as Olympic judo offers two bronze medals. Contrary to her Athens campaign, Rousey didn’t leave empty handed. But, to someone who craves total victory – who feels the narrowest of defeats so deeply – this can’t have been sufficient. Immediately after the 2008 games, Rousey began to spiral. The pressure of competing and training for the entirety of her most crucial formative years had worn on her. Needing a break, she took a year off judo, and filled that time with mindless self-indulgence. She began drinking, smoking and partaking in weed and Vicodin. A tumultuous personal life didn’t help matters, as various romantic relationships fell apart due to drugs and theft. Ronda blew through her Olympic prize money, and was forced to take up several dead end jobs. Her apartment was rundown, and she’d often come home from work to an “apartment filled with sh*t” thanks to the less than stellar plumbing. In the wake of an Olympic medal, Ronda’s life was at it’s absolute lowest point. Then she saw a clip of an MMA fight in a bar she was working at. The proverbial light bulb flickered to life. Rousey’s split from judo was somewhat acrimonious. She briefly flirted with a comeback after her self-imposed exile, returning to her old coach Jimmy Pedro and training with future two time gold medallist Kayla Harrison for two full months. Rousey was then extended an invitation to spend a year training in Japan. She accepted, and off she went. According to Pedro, a big fuss was made of the bronze medallist upon arrival. Amongst several American judokas, Rousey was the star of the excursion. She was to be put up for a year with housing and food paid for, and after four days, she just left. Pedro claims she didn’t offer an explanation to the Japanese; just picked up and took off. This, to the Japanese, was extremely offensive. To Ronda, it was easier to do than to to communicate. Nevertheless, Rousey had decided that judo was no longer for her, and she made a clean break. After falling in love with MMA, Rousey approached her coach Pedro for his approval, to which he responded, “go f**k yourself”. Or at least, this is how Ronda recalls it in an interview with USA Today. Pedro himself denies such an aggressive statement on his part. Regardless of the truth, Ronda Clearly drew a line between the past and the future, and no one was going to drag her backwards. That’s it for part one. Next time we’ll delve into Ronda Rousey’s MMA career and beyond. See you then.